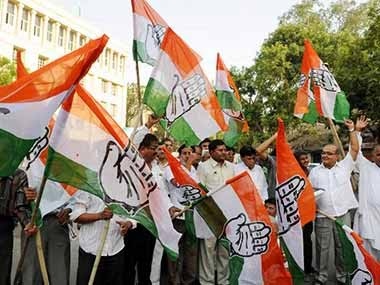 New Delhi : Over to several issues, including alleged non-payment of pensions to widows and senior citizens for the last 27 months, several Congress councillors today staged a protest against the BJP-led EDMC at the civic body's headquarters on monday at Delhi. Leader of Opposition Varyum Kaur claimed that BJP after assuming power at the Centre has "forgotten" its pre-poll promises of "eradicating corruption" and bringing "good governance". Picketing at the main gate of the headquarters at Patparganj, Kaur, leading the coucillors raised slogans against the East Delhi Municipal Corporation (EDMC) and alleged that many of its employees were also "not getting their salaries". She further alleged delay in collection of conversion charges from roadside shopkeepers sitting on lands earmarked for "mixed-land use" and the collection of conversion at will by the BJP-led civic body. The cash-strapped EDMC has been running into losses worth several hundred crores and has sought help from both the Delhi government as well as the Centre to come out of the red.